The coin bearing Jason Bouwman’s first coin design, which commemorates the centennial anniversary of the Mint in 2008, has recently been nominated for an international coin award. 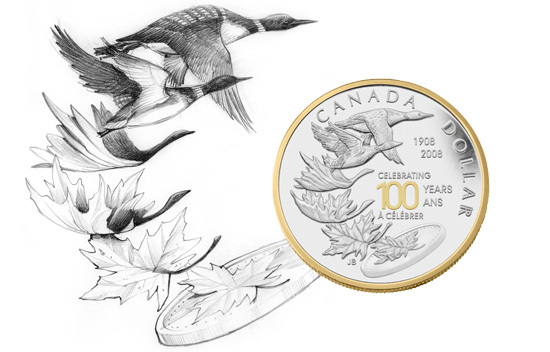 The coin depicting a maple leaf transforming into a Common Loon has been nominated in the category of Best Silver Coin of the Year. Canadian nominees lead the race in the prestigious Krause Publications’ Coin of the Year Awards with a total of eight nominations. Winners will be announced in January, 2010 at a ceremony in Berlin, Germany.